The Volkswagen we all know and love is here once again! 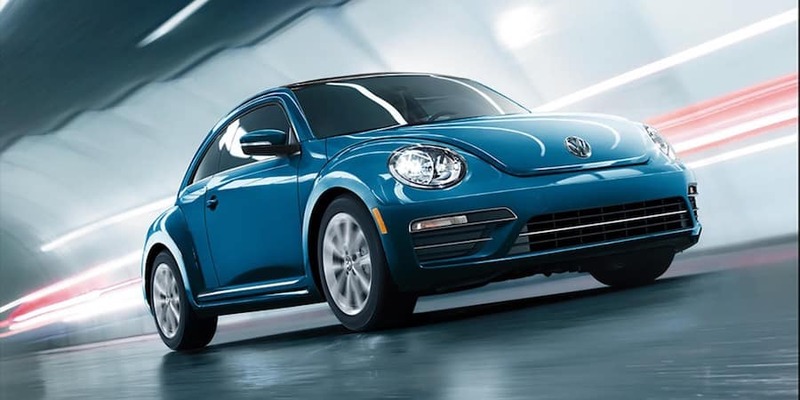 The 2018 Volkswagen Beetle can be found at our Little Rock dealership and can give drivers all of the speed and efficiency they have been craving. Thanks to the standard 2.0L TSI® four-cylinder turbocharged engine and six-speed automatic transmission, adrenaline junkies will be able to take to the road with confidence. For those shoppers who are looking to receive maximum control with the option of switching over to manual shifting, Tiptronic® gives drivers the opportunity to choose their favorite type of drive. The options are endless! The VW Beetle has a distinct design that is known everywhere. With an unmistakable profile and large circular headlights, this beauty has been turning heads for years, and continues to do just that. The 2018 model gives Little Rock Volkswagen drivers the ability to choose between five trim levels including the new Dune trim. 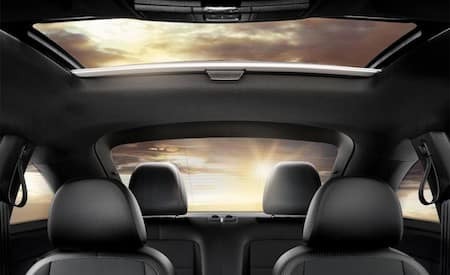 From the inside out, this vehicle knows how to please, especially on a hot summer day when drivers opt for the convertible design. The 2018 Beetle sure knows how to impress those who are looking on, but it also knows how to please those inside as well. With a large number of technologies inside for all to enjoy, the Volkswagen Beetle keeps drivers connected at all times. Thanks to the standard Bluetooth® connectivity and available voice recognition technology, motorists are able to stay in-touch with others while keeping their eyes on the road. 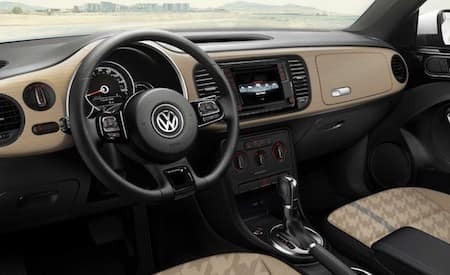 Other technologies like the available Volkswagen Car-Net® App-Connect give travelers the ability to easily use their favorite smartphone apps on the 6.3-inch touchscreen. Choose Owens Murphy Volkswagen and see just how much we care about our customers. We value our customers safety, which is why we are relieved when they drive off n a 2018 Volkswagen Beetle. Filled with a number of standard and available safety features, drivers and passengers can enter this ride with peace of mind. From the high-strength safety cage to the Intelligent Crash Response System (ICRS), everyone is protected from the unknown. Getting from Point A to Point B has never been so easy on the mind. For more information about the 2018 Volkswagen Beetle, contact Owens Murphy Volkswagen at (833) 664-0332 to schedule a test drive. We also the Benton area, so don’t hesitate to stop by!